The Christmas season is such a tricky time to be a mom. It’s such a mix of wanting to honor all the traditions and do all of the things and cherish all of the moments and make every moment special. But in trying to make that all happen, ending up feeling stressed and defeated and sometimes even sad. I love, love, love watching Christmas movies together as a family and having a hot cocoa bar and going out to see Christmas lights. As our children have grown older, it gets harder and harder, not only to make time to do those things, but to find activities that appeal to a wide age range, from a second grader to a 17-year-old, along with two other kids in between. Every year, I promise myself that if I do nothing else right at Christmas, we will at least do a better job at focusing on the Christ part of Christmas. We have tried to do this in so many ways at different points in the life of our family. Some years have gone great, and others have been hit or miss. For years, when our big kids were younger, we looked forward to opening the doors of our big Advent book each evening. A few years ago, we tried going through the “Jesse tree” with our youngest daughter. 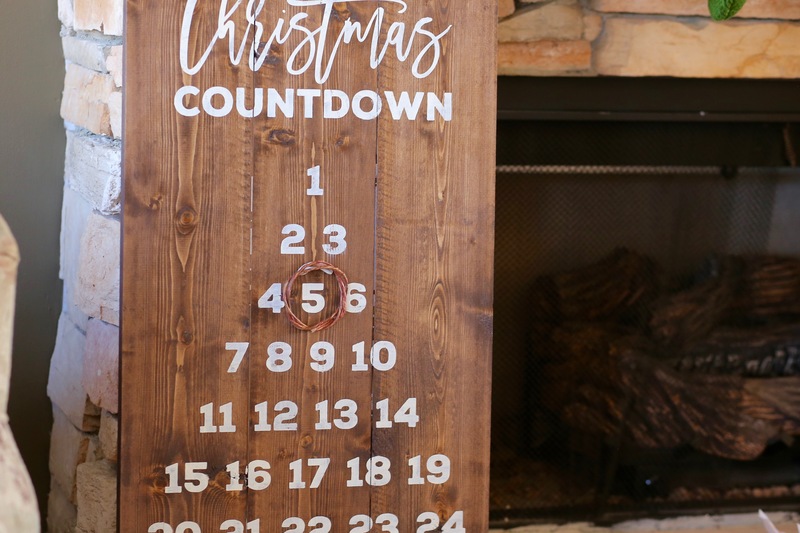 I’ve created “Advent calendars” that don’t have anything to do with the birth of Christ, but focus on daily activities and surprises that we do as a family. Other years, the season has literally just flown by and Christmas was already here and gone before I could even think about Advent. 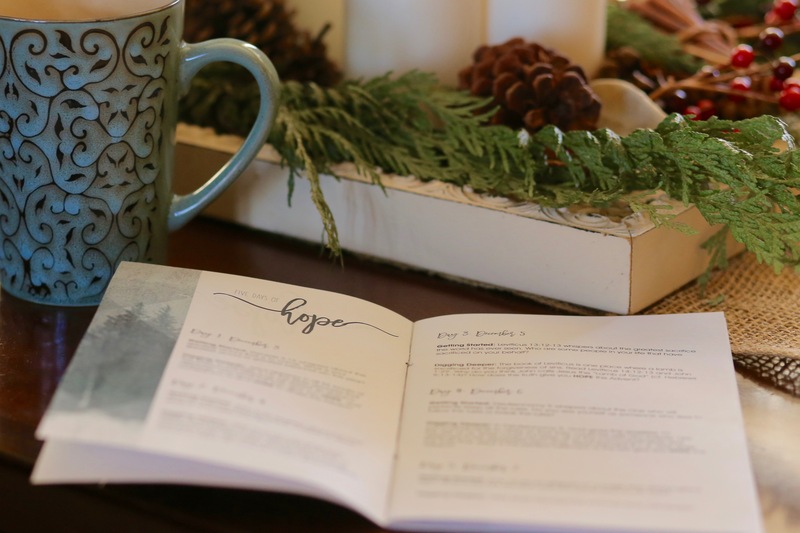 This year, one of the projects I’ve been working on at my job (working for a church) has been to help put together a booklet with a daily reading and questions for family discussion during Advent. But would that really make sense to a real family sitting down around a real dinner table, trying to get four kids to focus after a long day at school and work? Could we really look at the Old Testament and have a meaningful conversation about the birth of Christ? Our family sat down on Sunday evening for our first night of discussion. 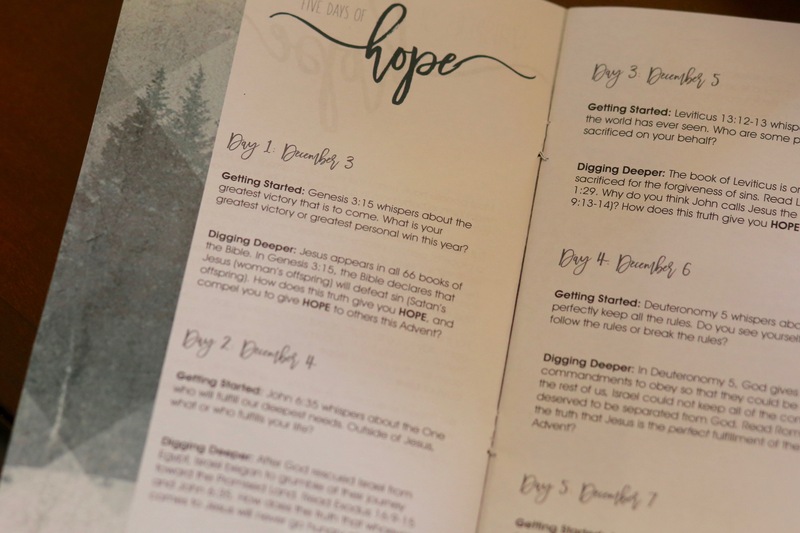 We were able to share our “greatest victory” during the past year, as we reflected on the hope we have that Jesus will eventually be the ultimate victor over sin. We engaged in a conversation that was much longer than I had anticipated, then ended our time together by sharing prayer requests. Everyone in the family shared an area in which they needed prayer. Sometimes, the mom of the family falls into the role of question asker, but doesn’t end up being a question answerer. I was secretly hoping that would be the case this time. But my family noticed I hadn’t answered, and they pressed me for my prayer request. The reality is that I’ve been struggling more than usual the past few months with my ongoing health issues. I feel like it’s all I talk about, and it has to be annoying and boring and basically old news. I want my kids to think of me as the fun mom who was always there for them. I don’t want them to remember me as the mom who was always sick or always made them eat crazy, healthy food or talked constantly about her health struggles. I prefer to be the one who takes care of other people and prays for my kids. I don’t want them to worry about me or feel like my situation is to a point they need to pray for me. But on this first evening of Advent, I guess it was time for me to be the vulnerable one. It was also amazing to see my situation through their eyes as they prayed out loud. Our 15-year-old son thanked God for my struggles because even though they are hard, they have brought us closer together as a family. He went on to blow me away with his youthfulness wisdom. Each time I see food that I can’t eat, he asked God to use that as a reminder of all of the blessings that I have in my life. Instead of seeing those foods as something that’s missing, he asked that I would be reminded of all that I have. I was struck at such a deep level by his words. I realized in that moment that his prayer applies not only to me and my health situation, but to so many other areas of my life, especially this time of year. What if each of those longings were a reminder of the blessings all around me? 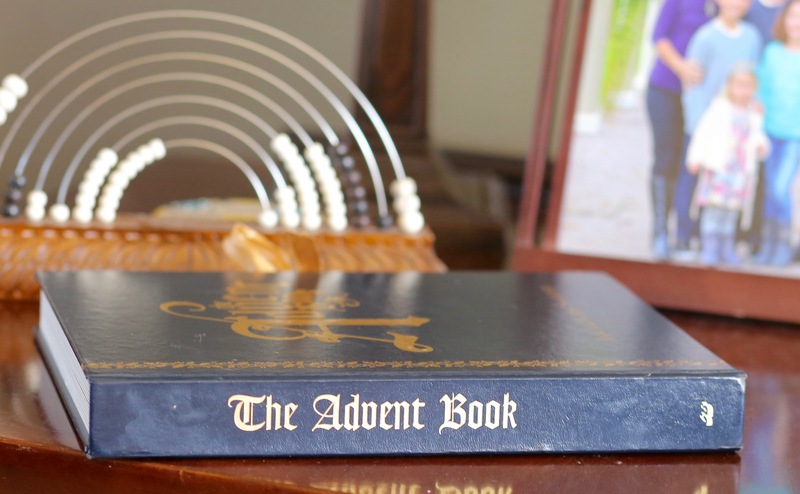 Yesterday was the third day of Advent, but we are already one day behind on our study. So, we read from Day Two, which looked at the book of Exodus in which the nation of Israel spent 40 years wandering in the dessert, complaining even though God provided for their physical needs each day by giving them manna from heaven. We discussed how it gives us hope to know that because of Jesus we will never hunger or thirst. My son’s prayer came back to mind. Like the Israelites who weren’t satisfied with the food God miraculously provided for them day after day, this whole season is full of cravings for more. I long to be filled by treats and hot cocoa and fun experiences. I was reminded to be thankful that no matter how hard I try, all of my desires can’t be fulfilled. Instead, may they remind me of the blessing of the birth of Christ and the hope He brings this Christmas. This is one of my favorite blogs from you yet. Thank you for sharing. I have a lot to reflect on after reading this. Thank you, Trish. That means a lot!